Are you kidding?? You got a HUGE amount done!! I hope you are not disappointed with yourself! Great job!! Now let's not be hard on ourselves. The bottom line is: it got done. 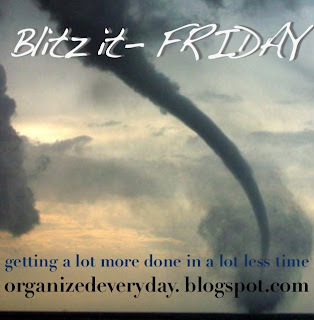 And here's a hint: you can do more blitzing later in the day or the next day! Cheers. Thank you for your encouragement. I guess I just didn't know what to expect, or how much can realistically be done in an hour! I think you did GREAT!! !